2004-2012 GMC CANYON MODELS ONLY. Dual halo projector headlights. 2004-2012 CHEVY COLORADO MODELS ONLY. SPECDTUNING DEMO VIDEO: 2004-2012 CHEVY COLORADO HALO LED PROJECTOR HEADLIGHTS. Corner turn signal lights. 2004-2012 GMC CANYON MODELS ONLY. Dual halo projector headlights. 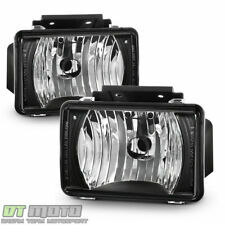 BLACK HOUSING CLEAR LENS WITH WHITE LED FOG LIGHTS. 2004-2012 CHEVY COLORADO MODELS ONLY. SPECDTUNING DEMO VIDEO: 2004-2012 CHEVY COLORADO HALO LED PROJECTOR HEADLIGHTS. Dual halo projector headlights. 2004-2012 GMC CANYON MODELS ONLY. SPECDTUNING DEMO VIDEO: 2004-2012 CHEVY COLORADO HALO LED PROJECTOR HEADLIGHTS. 2004-2012 CHEVY COLORADO MODELS ONLY. GLOSSY BLACK HOUSING SMOKE LENS HEAD LIGHTS WITH AMBER REFLECTORS. 2004-2012 GMC CANYON MODELS ONLY. 2004-2012 CHEVY COLORADO MODELS ONLY. SPECDTUNING INSTALLATION VIDEO: 2004 -2011 CHEVY COLORADO GMC CANYON HEADLIGHTS. SPECDTUNING INSTALLATION VIDEO: 2004 - 2011 CHEVY COLORADO GMC CANYON BUMPER LIGHTS. 2004-2012 GMC CANYON MODELS ONLY. Dual halo projector headlights. 2004-2012 CHEVY COLORADO MODELS ONLY. GLOSSY BLACK HOUSING SMOKE LENS HEAD LIGHTS WITH AMBER REFLECTORS. GLOSSY BLACK HOUSING SMOKE LENS CORNER LIGHTS WITH AMBER REFLECTORS. 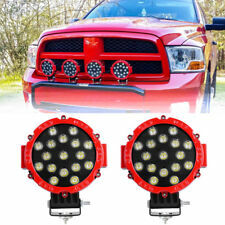 Dual halo LED DRL projector headlights. 2004-2012 GMC CANYON MODELS ONLY. BLACK HOUSING CLEAR LENS HEADLIGHTS. 2004-2012 CHEVY COLORADO MODELS ONLY. - LED color temperature : 6000K. -We do not acceptCOD orLocal pick up. Dual halo projector headlights. 2004-2012 GMC CANYON MODELS ONLY. 2004-2012 CHEVY COLORADO MODELS ONLY. SPECDTUNING DEMO VIDEO: 2004-2012 CHEVY COLORADO HALO LED PROJECTOR HEADLIGHTS. Corner turn signal lights. Money back guarantee!Free return shipping! Hassle free! LED Power: 122W(total 244W). Beam Pattern : 30°Spot Beam，60°Flood Beam,Combo Beam with DRL Function. Beam Type: 150 degree Flood 30 degree Spot Combo Beam. Apply to: Pickup, Wagon, UTB, Cab, ATV, SUV, Jeep, Truck, Boat, Bus. 2pcs Car roof rack light bracket Crossbar Luggage-rack bumper bull bar Mounting holder for Led Light Bar work light 4x4 4WD SUV. 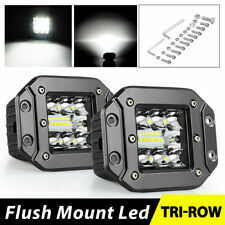 2x Car Roof Rack Light Bracket Holder Bumper Mounting Kit for LED Work Light Bar. ◆Beam Type : 30°Spot Beam，60°Flood Beam,Combo Beam with DRL Function. ◆Beam Type: 150 degree Flood 30 degree Spot Combo Beam. Headlight Bulb. ◆Color Temperature : 6000K White light source, easy to accept by the human eye and will not feel tired. LED Power: 44W. Specifications Plug Type: 9005. 2 x 9005 LED Headlight Bulbs. Beam Angle: 360°clear beam no blind. These bulbs will work with most vehicle's computer system without error. We are professional LED Light Bar / Headlights manufacturer. Beam Pattern : 30°Spot Beam，60°Flood Beam,Combo Beam with DRL Function. Beam Type: 150 degree Flood 30 degree Spot Combo Beam. Color Temperature : 6000K White light source, easy to accept by the human eye and will not feel tired. Part Number: 9006 H11. LED,HID&HALOGEN Headlight Bulbs Comparison. LED Color: 6000K Super White. LED Power: LED 30W/PCS 60W/PAIR. 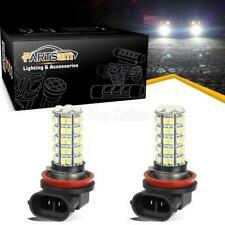 ·Aggressive clean 6000K SUPER WHITE / HID WHITE / 6K Xenon White Colour, 300% brighter than traditional light bulbs. Plug Type: 9005,High Beam,H11 Low Beam. 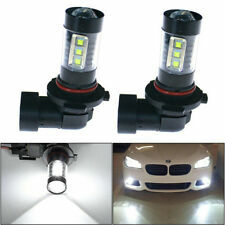 （6pcs/3 set） 9005 H11 9005 LED Headlight Conversion Kit. Usage: Headlight. These bulbs will work with most vehicle's computer system without error. LED lights than traditional halogen energy, more power. Part Number: 9006. ·Clear Vision: Camp light is about 500Lm. A high power flashlight is about 1000Lm. A Cree LED Cycling Bike is about 1500Lm. A Philip's halogen headlight is about 1000Lm. A common LED headlight is about 3000Lm. With our arrival strategy, there are no unique gets or special cases. 2018 US PARTS ID. LED Power: 122W(total 244W). Beam Type : 30°Spot Beam，60°Flood Beam,Combo Beam with DRL Function. Beam Type: 150 degree Flood 30 degree Spot Combo Beam. Headlight Bulb. Led Light Bar. LED quantity: 32 4pcs LEDs. Other Available Bulb Size: 9005(9140,9145,HB3，H10),9006(9012,HB4),9007(HB5,High&Low Beam),H11(H8，H9),H4(9003，HB2，H4-3，High&Low Beam)，H13(9008,High&Low Beam),9004(HB1,High&Low Beam),H1，H7,880(881,H27),H16（5202，Fog Lights）. Incredible Real Blue Halogen Replacements! LED Color: 6000K Super White. ·Aggressive clean 6000K SUPER WHITE / HID WHITE / 6K Xenon White Colour, 300% brighter than traditional light bulbs. Fog Light Halogen Bulb vs LED Bulb. LED Power: LED 30W/PCS 60W/PAIR. 9005 9005CB 9005SU 9005EB 9005XV. 9006 9006HP 9012 HB4. LED Color: 6000K SUPER WHITE / HID WHITE / 6K. ·Aggressive clean 6000K SUPER WHITE / HID WHITE / 6K Xenon White Colour, 300% brighter than traditional light bulbs. Feature: ---High quality, fade-resistant and brand new ---DOT, SAE Approved; ISO 9001:2008 Certification ---Aftermarket Original Equipment Style Direct Replacement Specification: ---Type: Fog Light Assembly ---Color: Clear lens ---OEM#: 22863814 (LH=RH) ---Partslink#: GM2592135 (LH=RH) ---Material: Plastic ---Bulb included: Yes ---Fits ---2004-2012 Chevrolet Colorado (w/o Extreme Pkg) ---2004-2012 GMC Canyon ---Please check your car manual or ask local dealer for OEM# to confirm fitment. It's your responsibility to double check before purchasing. ---Installation Method: Direct replacement ---Quantity: 1 pair (driver passenger side). 9006, 9006EB, 9006SU, 9006CB, 9006ST, 9006XV, 9006HP, 9012. LED Color: 6000K Super White. ·Clear Vision: Camp light is about 500Lm. A high power flashlight is about 1000Lm. A Cree LED Cycling Bike is about 1500Lm.